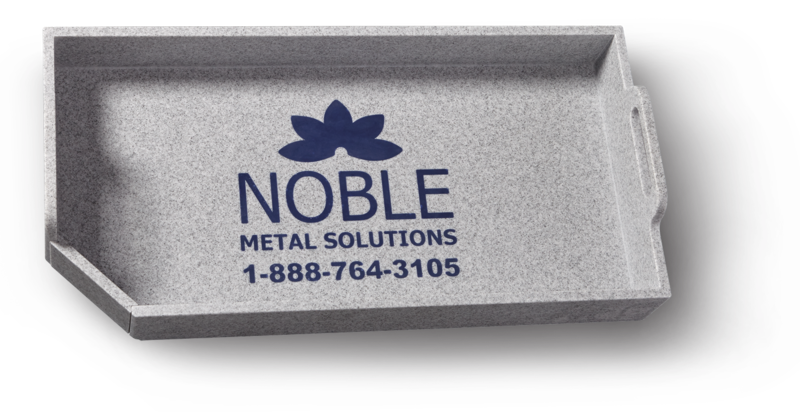 Noble Metal Solutions (NMS), located in Indianapolis, Indiana, is a full-service industrial refinery serving crematories, funeral homes and cemeteries throughout the U.S. and Canada. We offer an environmentally responsible solution to your post-cremation metals concerns. NMS serves the death-care profession by applying accurate and transparent refining procedures for post-cremation metals and post-cremation implants, dental alloys and pacemakers. Our mission is to educate crematory owners on what kinds of metals they accumulate, the value of those metals, and how to extract and recycle them properly. NMS provides seamless service with the highest returns for your business or designated charity. NMS is the first cremation recycling company to provide proprietary equipment designed specifically for crematory operators on a completely complimentary basis. The equipment allows operators to save time and effort when removing the post-cremation metals from the cremains and reduce the wear and tear of crematorium equipment. In addition to our free cremation recycling program and complimentary equipment, NMS provides free containers and covers all shipping costs. We believe that cremation recycling should be handled with the same dignity and respect that funeral homes already demonstrate to decedents and their families. We understand that cremation recycling might not always be a top priority for crematories but to us it is our passion. We offer excellent referrals in every state and province. Our NTS transfer tray is offered free to qualified clients.